Do you ever find yourself looking at your husband and you don’t know what to talk about? 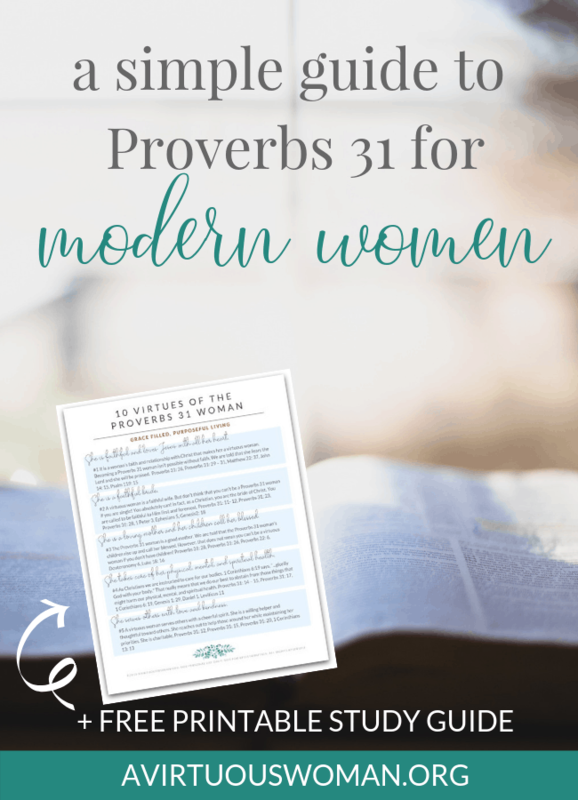 Today I’m sharing a fun list of 50 Conversation Starters for Date Night that you can use to help you and your husband enjoy conversation again! There may come a point in your relationship when it seems like there is nothing new to discover. Things become predictable and comfortable. That’s okay. Actually, it’s a beautiful thing to find a true connection with someone. 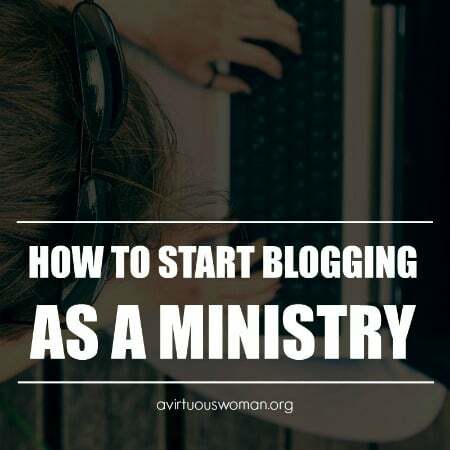 However, it also means that you need to make an extra effort to engage in meaningful conversations with your husband. Some days it can be hard to find the energy to go above and beyond and give that extra effort. 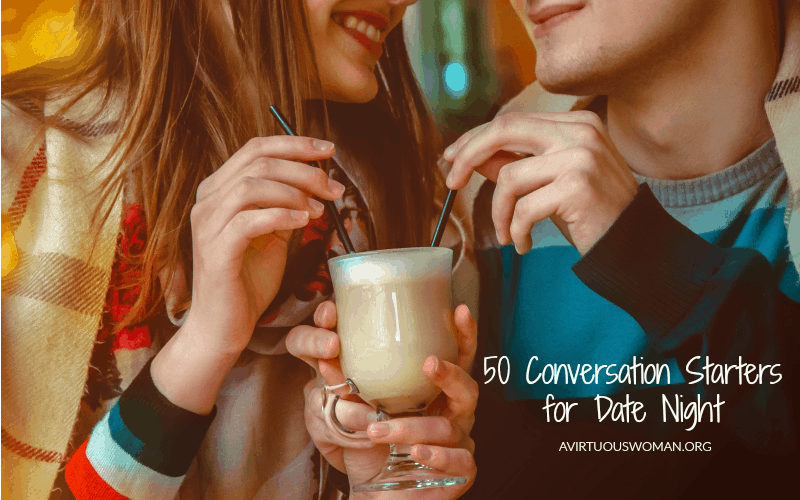 This list of 50 Fun Conversations Starters is perfect for a date night or any time you have a chance to talk to your husband. Rekindle your romance with a date night and use these conversation starters to rediscover your interest in each other. I hope they bless you! What is your funniest memory from when we were dating? 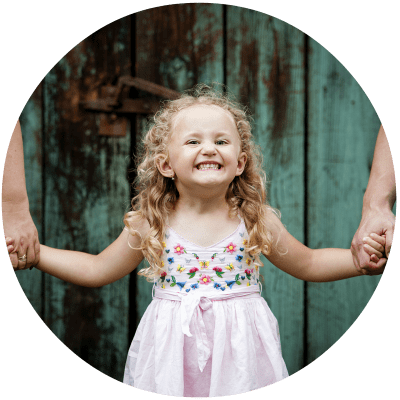 What would make our kids freak out if they knew it about us? 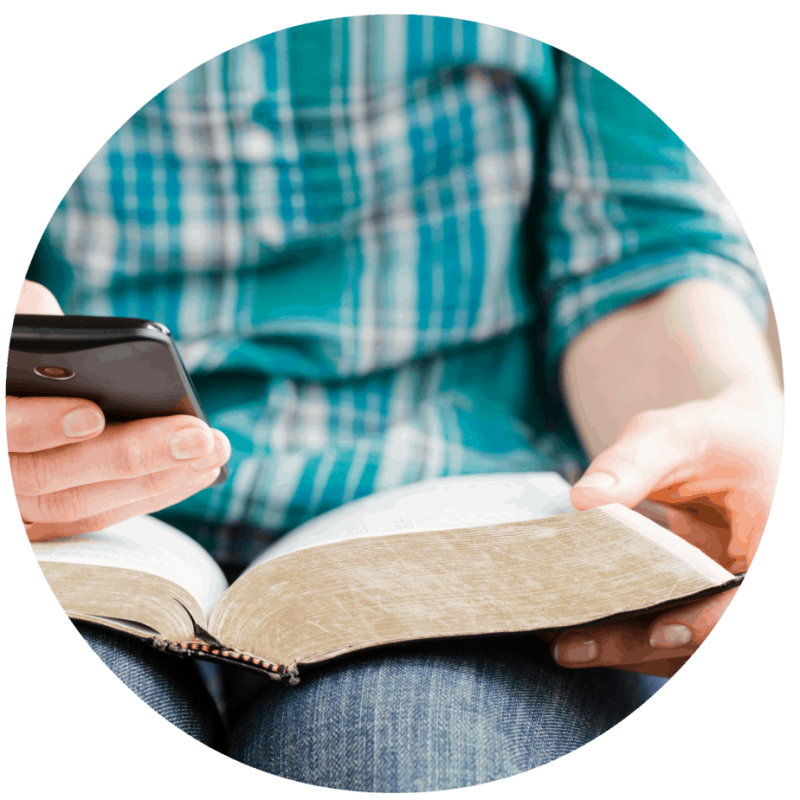 Before we are together in heaven, what do you pray we accomplish here? If you could spend a day just talking to any one person, who would it be and why? If you could spend 24 hours doing anything in the world with you, what would it be? How do you picture our life in ten years? Discuss your similarities and differences when it comes to the future. What is the happiest that you’ve ever been? What is your dream vacation? 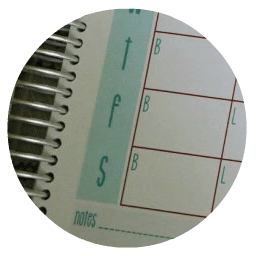 Create a timeline to make it (or a similar trip) come to fruition. How would you describe your hero? 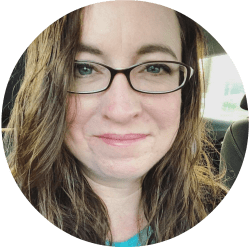 What heroic qualities do I possess? If we won the lottery, what is the first thing you would buy? What would you buy for each other? Name something you would like to do, but are scared to try. Write down three things that you love the most about your partner. See if they can correctly guess what is on your list . 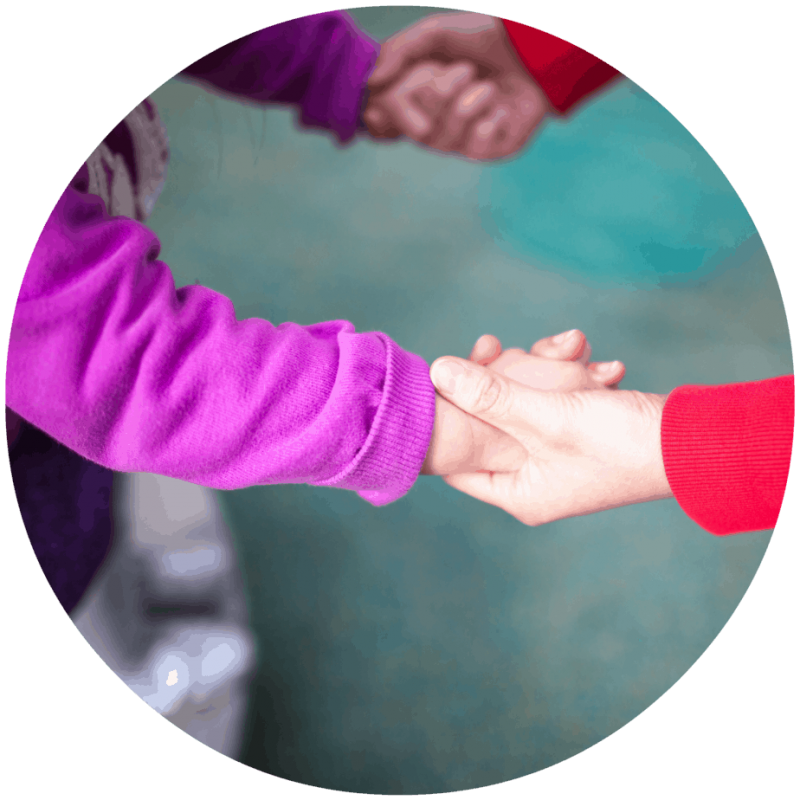 Describe a time when you were touched by someone’s kindness. How did it make you feel? Describe a time when someone hurt or betrayed you. How has this experience affected your adult life? What was your first impression of your partner? Was it accurate? In what ways has your partner changed? What is your most embarrassing moment? Decide whose was worse. Describe a significant event that changed you as a person. Was this a good or bad change? What is something that you would like to change about yourself? How can you achieve this? How can your partner help? What gives you “butterflies?” When was the last time you felt them? What kind of things do you consider romantic? Plan a romantic date night together or take turns planning a night out. Is the glass half empty or half full? Has your outlook changed over the years? What was your biggest fear as a child, teenager, young adult? Have they changed? What motivates you the most in life? When do you last remember laughing with me the most? What does the word “affection” mean to you? What does the word “romance” mean to you? What’s a favorite memory from when we were dating? What made it so fun? What was a time your mom really messed up with talking to you or punishing you when you were a kid? What was a time when your dad really messed up with talking to you or punishing you when you were a kid? What’s something you never confessed to your parents until much later–that you laugh about now? What song from the radio did you just HATE when you were in your early teens? Why? What movie did you see when you were really too young to watch it? Do you remember sleepover parties from when you were a kid? What did you like about them? What did you hate about them? Who was your best friend when you were 9? Do you know what happened to him/her? What was your favorite toy as a kid that kids don’t really play with now? If you felt comfortable saying anything you wanted to your parents, what would it be? Tell me about your first crush. Why did you like him/her? Did you ever tell him/her? Who do you miss the most who you’ll see in heaven? 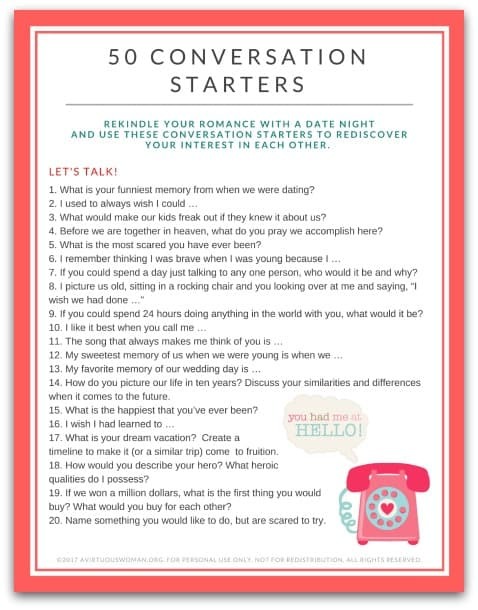 Just fill out the form below and you receive this fun free printable 50 Conversation Starters for Date Night right in your inbox! 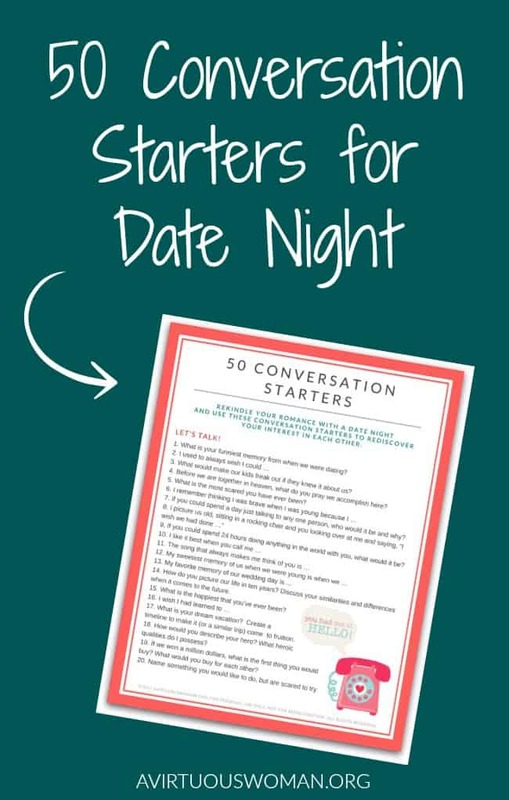 This LIST of 50 Conversation Starters is perfect for a date night or any time you have the chance to spend some time talking to your husband. 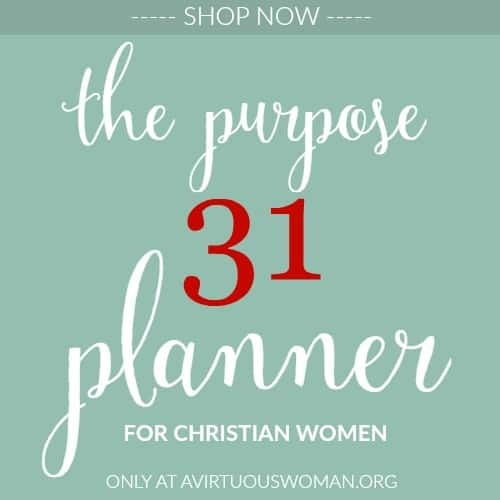 Free when you join my community of of over 21,000 women where you'll find freedom from perfection and the confidence to live your life with purpose.